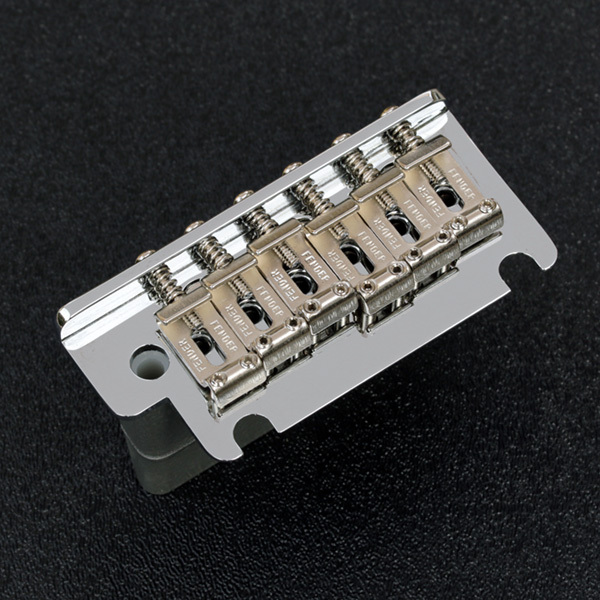 Genuine Fender® American Professional Stratocaster® 2-Point Synchronized Tremolo Bridge Assembly. This is the same bridge that is installed on 2017 and newer American Professional Strat's®. Includes vintage style bent steel "FENDER" stamped nickel saddles, chrome two-point pivot top plate and a solid steel tapered back tremolo block. Saddle string spacing width of 2-1/16". Accepts the new American Professional Strat® pop-in tremolo arm (sold separately). This is a right handed bridge assembly. Does NOT include mounting bushings, pivot pins, springs, claw or tremolo arm. Ships as depicted in photograph on the right.